Bayern Munich head coach Jupp Heynckes has intimated that returning goalkeeper Manuel Neuer will play again before the end of season, but remains tight-lipped on when. Neuer, who has been out of action since suffering a second metatarsal fracture in six months in the 4-0 win over Mainz on 16 September 2017, resumed first-team training on Friday. "We're all hugely delighted with how it's gone," Heynckes told media, after Neuer took part in the warm-up, as well as some ball drills. "We've done everything right so far and the way he's worked is fantastic, but it's far too early to talk about [whether he'll play in the DFB Cup final or the UEFA Champions League final]. I know what I'm doing. I have a clear plan." With the Bundesliga sewn up and only four league fixtures of the 2017/18 campaign remaining, Bayern's primary focus is on beating holders Real Madrid over two legs in their upcoming Champions League semi-final tie. Should the five-time European champions succeed, they will advance to the final in Kiev, which takes place a week after the DFB Cup final against Eintracht Frankfurt, on 26 May. It goes without saying that Neuer's return would be a real boon for club and country, especially with Germany's FIFA World Cup defence on the horizon. 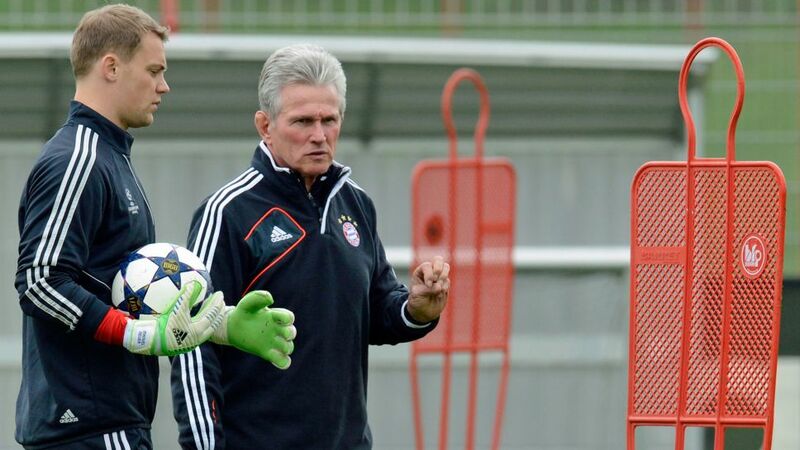 At the same time, Heynckes has complete faith in second-choice keeper Sven Ulreich.